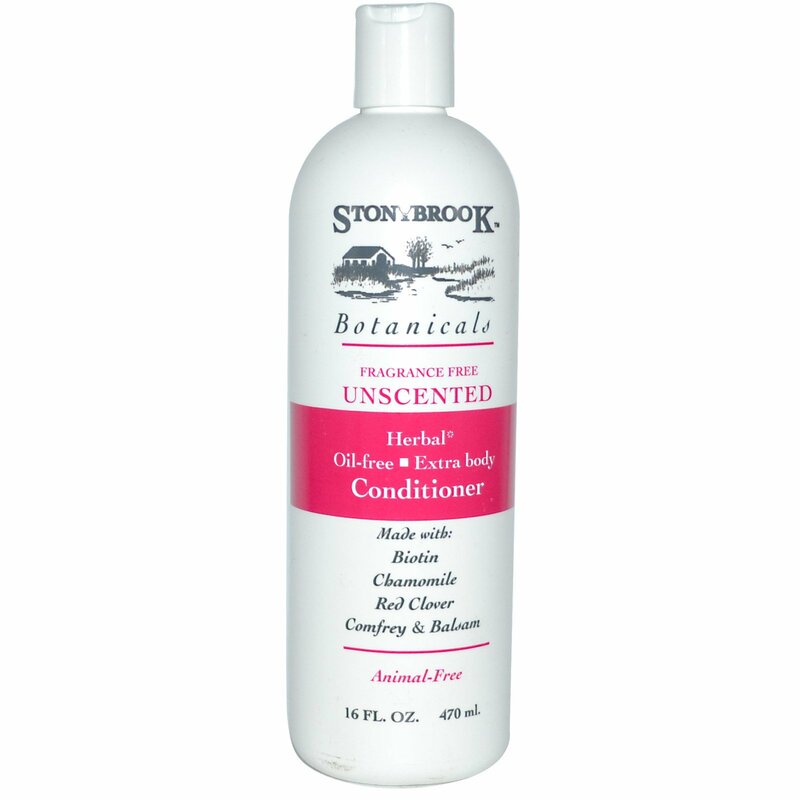 The Story Brook "Oil Free" Unscented Conditioner is a blend of Organic Herbal Extracts that add body and shine to hair. No coating agents, artificial color or waxes are added. 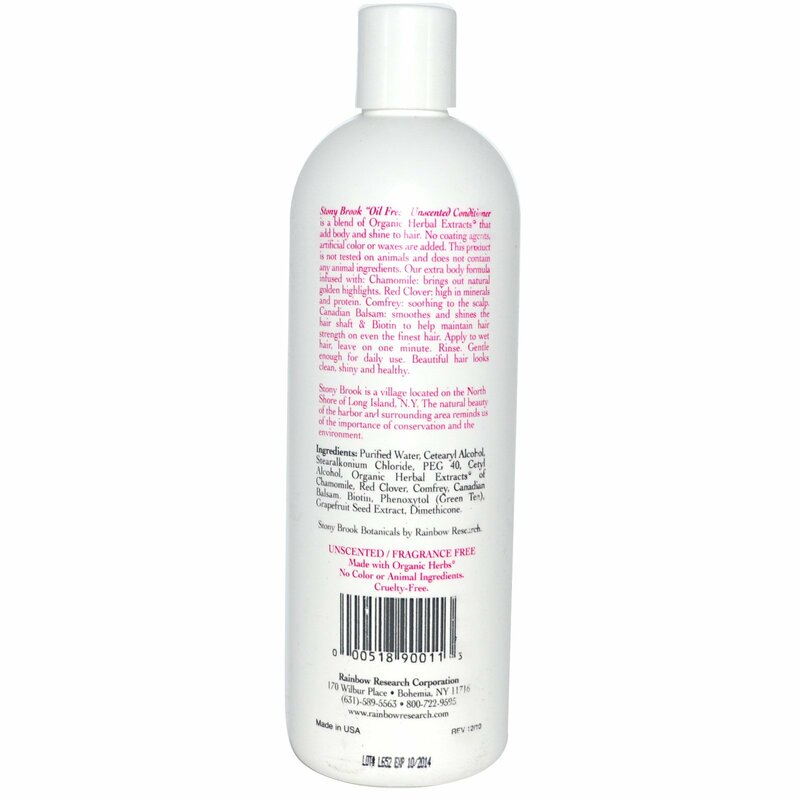 This product is not tested on animals and does not contain any animal ingredients. Our extra body formula infused with: Chamomile: brings out natural golden highlights. Red Clover: high in minerals and protein. 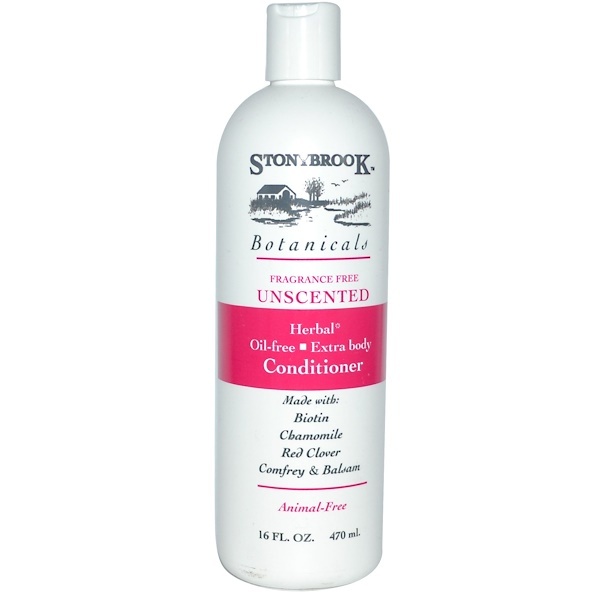 Comfrey: soothing to the scalp. Canadian Balsam: smooths and shines the hair shaft & Biotin to help maintain hair strength on even the finest hair. Apply to wet hair, leave on one minute. Rinse. Gentle enough for daily use. Beautiful hair looks clean, shiny, and healthy. Purified water, cetearyl alcohol, stearalkonium chloride, PEG 40, cetyl alcohol, organic herbal extracts of chamomile, red clover, comfrey, canadian balsam, biotin, phenoxytol (green tea), grapefruit seed extract, dimethicone.